Cash is millennials' preferred payment option, according to a study by GOBankingRates.com, which means a money counter is an excellent investment for small businesses. The survey found that nearly three-fifths of millennials would rather get paid back by family and friends in cash, rather than through payment apps, checks or bank transfers. Additionally, GOBankingRates.com notes that several other industry surveys have found that millennials often prefer to make purchases using cash rather than cards. "Even as our economy becomes increasingly cashless, cash is still great because it's instantaneous and nobody takes a transaction fee," David Weliver, founder of Money Under 30, explained to GOBankingRates.com. As consumers continue to show preference for cash over cards and payment apps, it's important for businesses to be prepared to handle incoming transactions. A money counter can quickly and accurately tally up a day's earnings and produces a digital rendering of profit during that session. Cash counters will likely see more relevance during certain times of the year. For example, every retailer knows that consumer spending soars during November and December. A survey from ConsumerCredit.com found that slightly more than half of respondents said they planned to carry out holiday shopping using cash they saved up and set aside. Holiday shopping is incredibly busy as it is, but mix in stacks of cash and it can quickly become overwhelming. A cash counter can help ease holiday retailing stress by taking care of counting up bills at the end of the day. Additionally, 14 percent of respondents to ConsumerCredit.com's survey said they were more likely to make big purchases, like furniture, electronics or vacations, using cash. This means that, when these consumers do use cash, retailers are getting it in large sums. 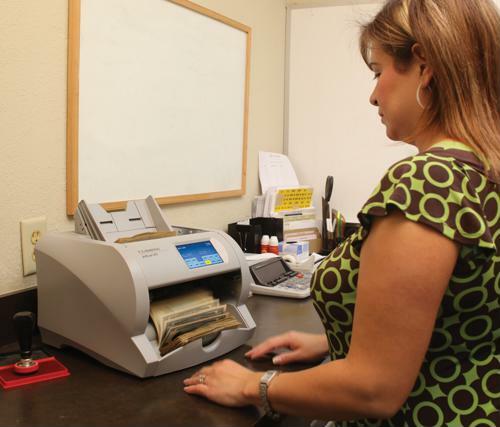 A cash counter can help keep track of the transaction and make sure everything is counted accurately. One reason cash is still so popular among consumers is the security that goes along with a non-electronic payment. One CardTronics survey found that 93 percent of respondents said they felt less at risk of data hacks when using cash. Additionally, many businesses see the security-related benefits of a cash-only transaction. There's no consumer data being related when dealing with bills and coins, unlike when a credit card is swiped. In fact, the biggest security concern when handling cash is counterfeit money. Luckily, this minor risk is easily mitigated with a money counter that can also detect fraudulent bills.